Don’t worry, Washington has a long history of socially accepting of marijuana. In fact, the first Seattle Hempfest was held on August 17th, 1991 long before any medicinal legalization cannabis. Although many cannabis events are an act of civil disobedience, the general attitude towards the herb is very relaxed. During Hempfest you will see the Seattle Police cruising around on bicycles handing out munchies with guidelines for staying out of trouble. On November 3rd, 1998 Washington legalized medical marijuana along with Oregon and Alaska solidifying medical marijuana along the whole US west coast. Washington has the most liberal medical marijuana laws in the country which lead to the legalization of recreational cannabis on November 3rd 2012. 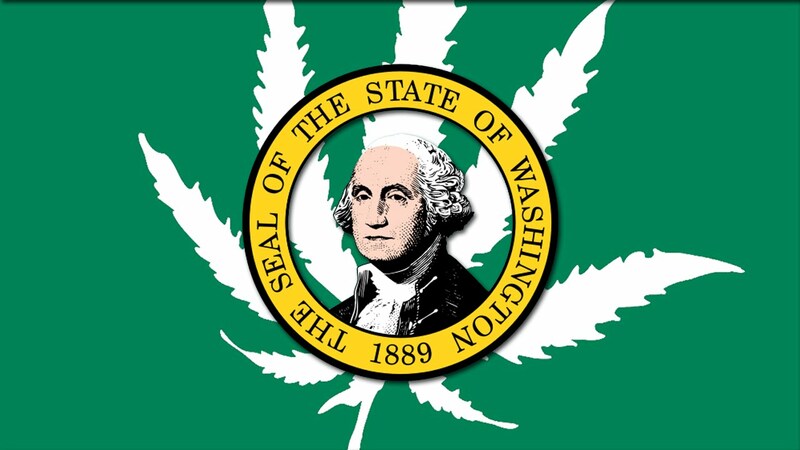 In May of 2014, Washington starting approving Producer/Processor licenses to cultivate cannabis. This permitting allowed retail shops to start opening up on July 8th 2014. You can find a list of current legal I-502 recreational stores by accessing this list/map of Retail Shops approved by the Washington State Liquor Control Board. Another good way to help decide if you are in a legal recreational store is by examining the packaging. The packaging in the legally licensed stores will be clearly labeled with the total THC contents of each product you purchase. Edibles will be in child proof packaging. Seattle is currently pushing legislation to allow vapor lounges but as of now nothing has passed. Although there are not currently any vapor lounges or coffee bars that allow you to light up similar to Amsterdam, there are a number of businesses in Seattle that fall into the speakeasy category. You will not find them listed publicly as they operating in a legal grey area, but they do exist. Use your nose. Discretion is often the best advice to give a traveler. As long as you’re are not causing an issue or being irresponsible, law enforcement tends to turn a blind eye. An easy way to get away with public consumption is by using vape pens filled with concentrate. Many vape pens do not smell or draw any extra attention. Most people believe it is an E-Cigarette. In the first 7 months of legalization, Seattle PD issued around 100 tickets for public consumption, but a vast majority of them were issued by the same officer, Randy Jokela. Seattle City Attorney, Pete Holmes, recently dismissed all 100 tickets due to their unprofessional nature! Officer Jokela is now under official investigation by the Office of Professional Accountability. YES, Washington has a legal limit of 5 Nanograms/mL of blood similar to the .08 Blood Alcohol Content test. According to the National Highway Traffic Safety Administration ,(NHTSA), “Plasma THC concentrations generally fall below 5 ng/mL less than 3 hours after smoking.” Keep in mind that edibles can last much longer. We do not recommend using cannabis and operating a vehicle as, “Chronic users can have a mean plasma levels of THC-COOH of 45 ng/mL, 12 hours after use,” according to the NHTSA. Many people break this law every day and have no issues driving while under the influence of cannabis. There need to be more studies on the actual impairment level that constitutes a DUI, but until then there are plenty of public transit options as well as cabs and Uber/Lyft drivers. If you do have an issue with a DUI, click the following link according to the state you are in for a list of qualified lawyers. You cannot travel to other states with your purchase of cannabis, or you could be facing state and federal prosecution. Although people do it on a regular basis, the police are on the lookout. Oregon tends to be quite cannabis friendly, but horror stories come from Idaho on a regular basis. Many travelers are quickly profiled as cannabis users and forced into illegal searches. Many times officers claim to have smelled something, and sometimes they even lie about it. Officers can use smell as probable cause to search your vehicle. The best thing to do in this situation is to stay calm, be respectful, and do not allow for a search especially if you do have cannabis. If they do decide to search your vehicle it is best to stay quiet and contact a qualified attorney as soon as possible especially if you have cannabis in the vehicle and get caught. Luckily you are more than welcome to have marijuana in your vehicle here in Washington! Nothing on this website should be considered legal advice or as a substitute for legal advice, and unfortunately marijuana is still illegal at the federal Level. Please respect the marijuana laws during your visit to Washington.